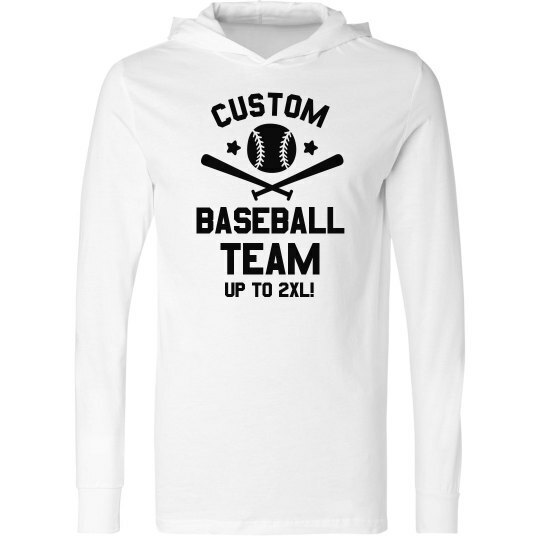 Customize a set of trendy, long sleeve, hoodie t-shirts for the whole baseball team this season. Choose your own art from our gallery and add your own text to say whatever you want! Custom Text: CUSTOM | BASEBALL | TEAM | UP TO 2XL!